David Cullinane is your Sinn Féin TD for Waterford. David was elected to the Labour panel in the Seanad in 2011, having previously served as a member of Waterford City Council since 2004. David is actively working on a number of key campaigns in Waterford, including opposition to unjust water charges, opposing cuts at University Hospital Waterford, campaigning for increased capital investment in health and education, and supporting a University for Waterford and the south-east. 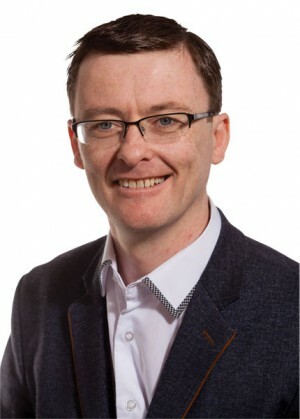 David is Sinn Féin’s National Spokesperson on Workers’ Rights and Political Reform and he heads up the party's engagement programme with the trade union movement. In 2013, David published a comprehensive report in 2013 entitled ‘The South-East Economic Development Strategy’. He is currently developing an all-Ireland report on Low Pay and securing a Living Wage for citizens.